You're right about the "too cute not to use" part! Thank you very much for your lovely comment at my blog. I’m already following u at GFC kip in touch. Have a great day. xoxo. Your welcome ^__^ Thank you~ hope you have a great day too! Great and honest review. Thx for sharing your honest opinion. Lovely blog here btw! Would you like to follow each other on GFC? Please let me know on my blog so I can follow back. Thank you. let me know if you follow me, and i will follow you back. Lovely review the packaging is lovely, it has a moisturizing effect for me is nice. WHAT!?! 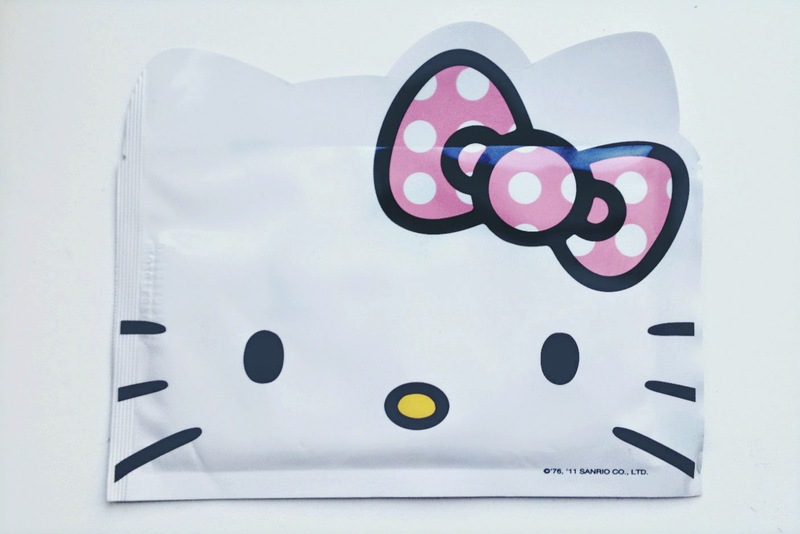 Hello Kitty Facial Masks!? I must find these and stock purchase them!! Lol Thank you for sharing!! I would love it if we could follow each other!! Hey michelle~ I'd like to invite you to join my Korean cosmetics giveaway in honor of KPWP's 1st blogiversary! Feel free to join HERE!